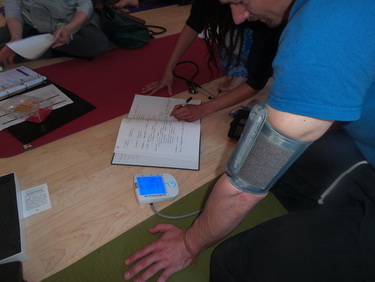 We think of our yoga teacher training as an immersion and believe that it is the most unique 200 hour course in the UK. With no fixed style or system we simply want you to find your inner voice and to teach in a way that is entirely authentic to you. We work with some of the most respected yoga teachers in the UK with good reason-they are amazing and inspirational!! ​Tutors include Dan Peppiatt; Lolo Lam; Toni Ann Roberts; Jambo Truong; Mimi Kuo Deemer; Victoria Adamnson; Ambra Vallo; Ash Bond; Kat Farrants and more! Each tutor delivers what they are most passionate about. Incorporating influences, from Forrest and Dharma, through traditional Hatha, Vinyasa Flow and Rocket, we have Bodyworkers, Anatomists, Yoga-Therapists & Acro-Yogis all offering useful tools that you might or might not choose to incorporate as you discover your own, totally natural, intuitive & organic style. With passionate exploration of pranayama, meditation, history & philosophy of both yoga and other systems, anatomy, physiology and of course asana, we begin by helping you to establish a deep personal practice of your own. From this firm foundation we are able to investigate the types of teaching & listening skills that will empower your students to practice in an equally liberated way. The course is recognized by the Independent Yoga Network (IYN) who fully embrace all styles of yoga that follow the principles of ahimsa (non harming) and satya (truth) and encourage teachers to teach as they feel is intuitive and authentic for them.All IYN training schools are also recognised by REPS (Register of Exercise Professionals). 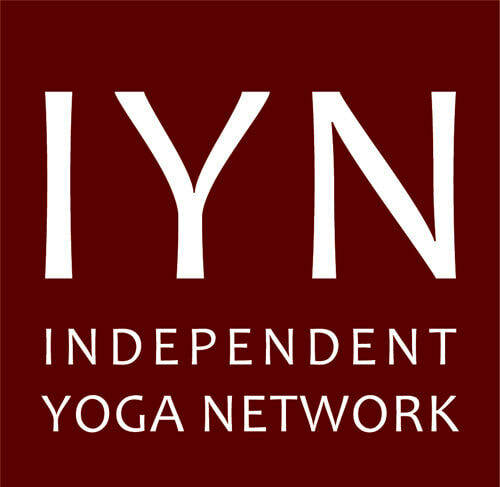 As a member of the Independent Yoga Network you have access to their group insurance which covers you to teach anywhere in the world (though you may have to pay extra to cover the USA and Canada). Alternatively you can take out insurance through REPS.
We limit the numbers on our course to around 15 students. At times other existing teachers may join for occasional training days, giving you the opportunity to practice on other bodies and draw on experience from outside the group. ​The immersion covers the eight limbs of yoga, yet also goes much deeper, incorporating a wide variety of studies and teachers, passionate about their particular field of expertise. From breath to partner work, through to physiology, anatomy and mindfulness meditation our aim is for you to explore yoga for yourself and develop a set of what most people would class as advanced teaching skills, but what we consider to be the fundamental tools of a good teacher or practitioner. the first part of the course sets out to deepen you understanding of all elements of yoga and to encourage you top develop a passion for your own practice, only then will you be able to understand anyone elses. Self-guided practices and suggested reading between sessions will encourage you to take your own understanding ever deeper; your physical asana, meditation and pranayama will progress quicker than you could ever expect as you start to really feel your yoga practice rather than 'think' it.